Jacob Lanier Setzer was the son of John Setzer I (1754 - 18 Mar 1822) and Catherine Bushart Barringer (06 Aug 1763 - 08 Feb 1810). He was born 04 Oct 1804 in Catawba County, previously Lincoln County, North Carolina, and was the tenth child of John and Catherine. Jacob’s father, John Setzer I, was married a second time to Christina Anthony Moose, but that marriage produced no children. Jacob ran a sawmill and acquired the nickname “Sawmill Jake”. On 18 Mar 1829 Jacob married *Delilah Eliza/Elizabeth Deal, the daughter of William Deal (08 Nov 1774 - 08 Nov 1824) and Mary Herman (05 Feb 1780 - 13 Aug 1845). Jacob's marriage to Delilah produced ten children. lists his parent's names as Jacob (Lanier) Setzer and (Delilah) Eliza Deal. 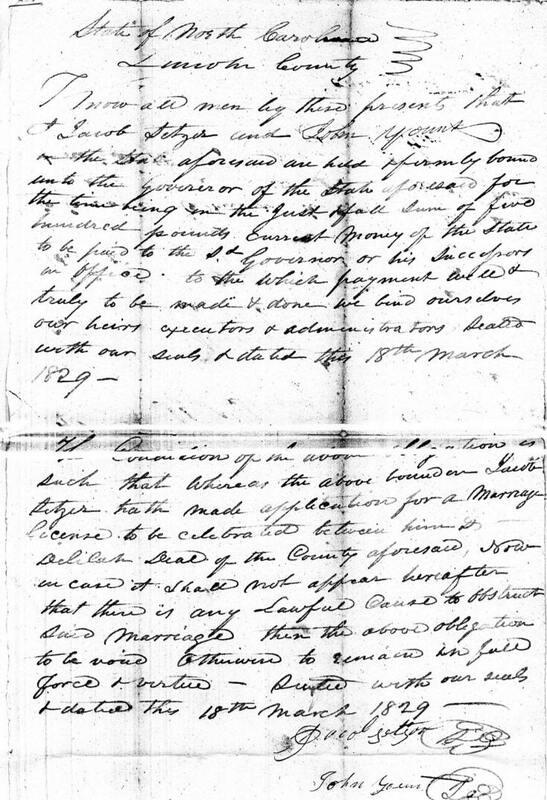 Know all men by these present that I Jacob Setzer and John Yount of the state aforesaid are held & firmly bound unto the Governor of the State aforesaid for the time being in the Just & full sum of five hundred pounds current money of the stat to be paid to the said Governor or his successors in office to the which payment well and truly to be made & done we bind ourselves our heirs executors and administrators sealed with our seals and dated this 18th March 1829. Jacob and Delilah's marriage produced at least ten children. 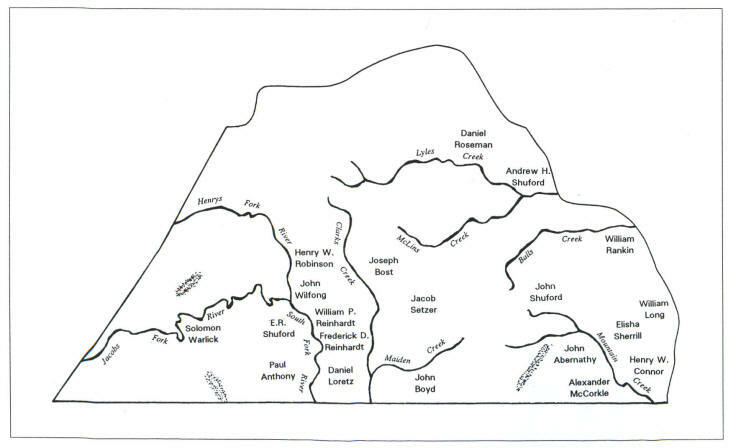 The following Catawba County, NC, maps show the location of Jacob Lanier Setzer's property. 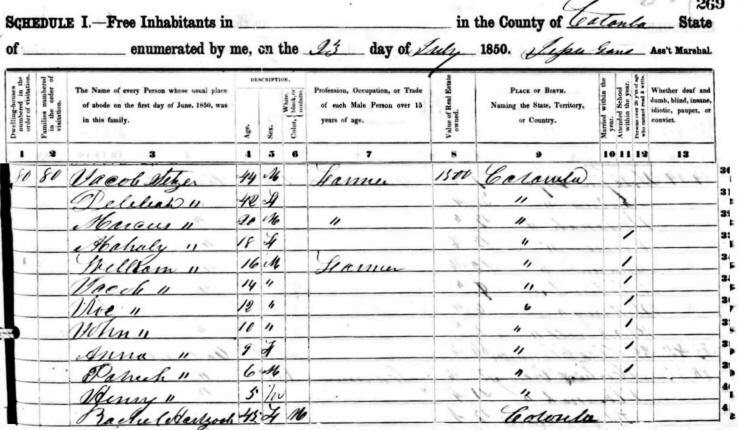 According to the 1850 Catawba County Census, Jake and Delilah were living in Catawba County with their nine children and a Mulato woman by the name of Rachel Hartzook. "Grafters of a N.C. County"
The most transient of all Catawbans were the mulattoes, whose mixed race and free status earned the enmity of most whites in the Piedmont. 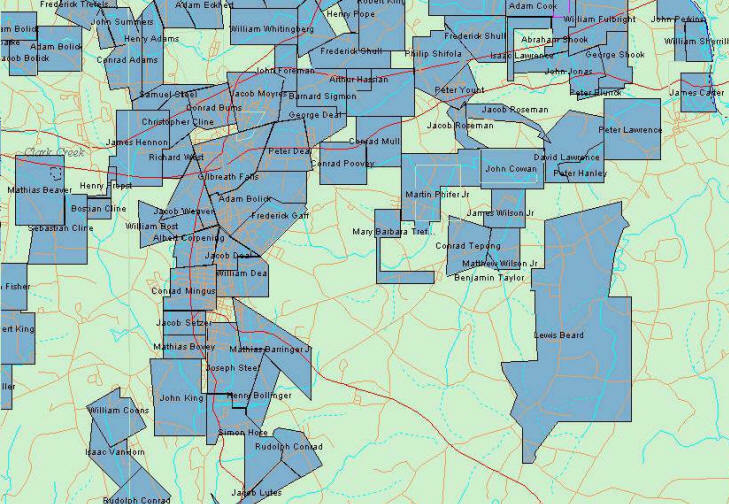 There were only a few mulattoes in the 1850 Census. Most of them were women. None owned land. Most of them did not even have family present. Often free women of color lived near one another and took housework jobs. Barbara Clodfelter, age 10, lived with tenant farmers Marcus Bost and his wife Nancy. Next door to the Bosts live Mark Keener, 17, who worked for the Thomas Witherspoon family. Next door, Rachel Hartzook, 45, worked as a servant for the Jacob Setzers in eastern Catawba. 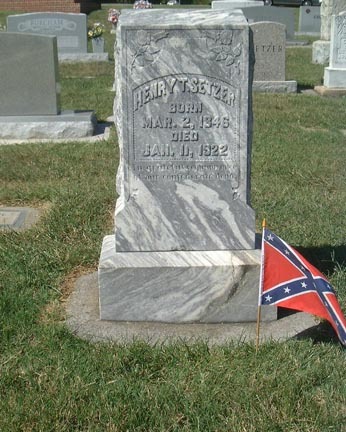 Delilah Eliza Deal Setzer died 14 Oct 1850 at the age of 41 and was buried at St. John’s Lutheran Church in Conover. Jacob married a second time on 23 Sep 1851 to Nancy Malinda Fraisure (22 Jul 1813 - 11 Jun 1877). Nancy was 38 at the time of her marriage to Jacob. Their marriage produced no children. According to the 1860 Catawba County Census, seven of Jacob's children were still living at home. They were William, Harvey, Noah, Wilburn, Patrick, Theodore and Ann. Patrick was 17 years old at the time and still attending school. Jacob had acquired an impressive $7000 worth of Real Estate and his Personal Estate was valued at $3450. According to the Catawba County Agricultural Census of 1860, the cash value for Jacob’s farm was $6000. He had $225 worth of farm implements and machinery, 5 horses, 3 mules, 6 milk cows, 8 other cattle, 16 sheep, 40 pigs, 425 bushels of wheat, 800 bushels of Indian Corn, 40 bushels of oats and 30 lbs. of wool. 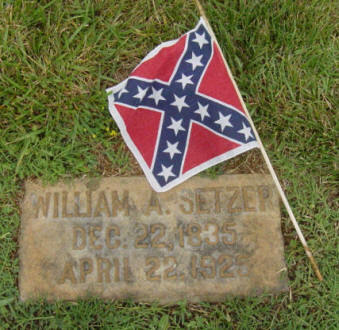 All seven sons of Jake and Delila Setzer served in the Civil War. Marcus Elkanah (age 32), William Able (age 26), Jacob Harvey (age 25), Noah Monroe (age 24), John Wilburn (age 22), Patrick Sylvanus (age 19), and Henry Theodore (age 16) enlisted as part of the Confederate army during the American Civil War, leaving Jacob with a large farm and no sons to help run it. Patrick Sylvanus was taken Prisoner of War at Rappahannock Station on 07 November 1863, at the age of 20, and was confined on 11 November 1863 at Point Lookout, MD, a prison camp for Confederate prisoners of war for 16 months. Henry Theodore Setzer, age 17, and Marcus Elkanah Setzer, age 33, were also prisoners at Point Lookout. 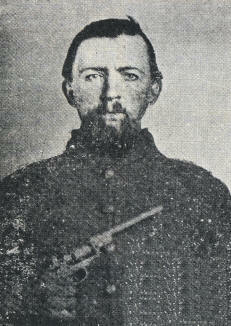 Jacob Harvey Setzer, age 26, was captured at Rappahannock Station, VA and died in the hospital at Point Lookout. 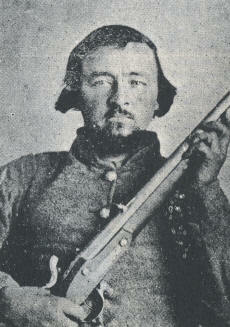 Marcus Elkanah Setzer also died during the war on 21 Mar 1865 at the age of 34. 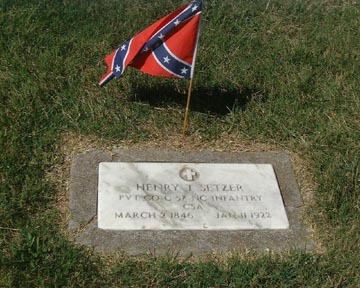 He is buried at Point Lookout, MD. After having spent over a year as Prisoners of War and in various hospitals, brothers William Able, Noah Monroe, John Wilburn, Patrick Sylvanus and Henry Theodore Setzer returned home as the Civil War ended. The Post Civil War era was a difficult time for many southern families. Jacob was fortunate to have only lost two of his sons. 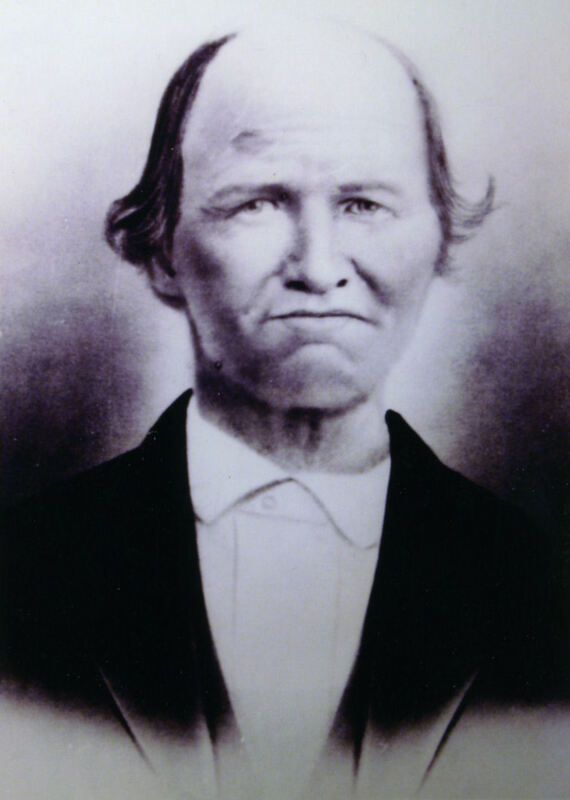 By 1870, all of Jacob’s sons had left the family farm except for Patrick and Henry, who continued to live with their father and his second wife, Malinda, after the Civil War. Jacob’s age at the time was 65. The Census has Patrick’s age listed as 22, but his correct age would have been 27. Henry’s age was also incorrect and should have been 24. Miles Rankin Witherspoon and his wife Sarah Elizabeth Aderholdt were living nearby the Jacob Lanier Setzer family. Their daughter Laura became the wife of Jacob’s 9th son Patrick on 27 Dec 1871. Jacob’s wife Malinda died on 11 Jun 1877 at the age of 64 and was buried at St. John’s Lutheran Church in Conover, NC. After Malinda’s death, Jacob married a third time on 21 Mar 1878 to Patsy Ruth Ann Deitz (31 Oct 1842 - 22 Aug 1912). Jacob was 73 at the time of his third marriage, Patsy was 35. Their marriage produced two children. Jacob and Patsy's marriage produced two children. According to the 1880 Catawba County Agricultural Census, Jacob had 195 acres of property on Depot Street, heading toward Claremont from Witherspoon’s X-Rds. The farm consisted of 55 acres of Improved/Tilled land, 4 acres of Improved/permanent meadows, pastures and orchards, 4 acres of Unimproved/Woods and 60 acres of Unimproved/Old fields. The Farm value was $6000 with $100 worth of farm implements and machinery, $295 worth of livestock and $20 fence repairs and new fences in 1879. $70 was the amount paid for farm labor wages during 1879, with 15 weeks of hired labor. The Estimated value of all farm productions sold, consumed or on hand for 1879 was $430. The family had 2 horses and 1 mule. There were 2 milk cows, 7 other cattle, 2 head of cattle sold in 1879, and 1 head of cattle died. The family produced 40 lbs. of butter. The farm contained 15 sheep in 1880, 5 of which were born in 1879, 1 died from disease, 5 of the sheep were shorn in 1879 providing 10 lbs. of wool. The farm also had 16 pigs, 25 chickens and produced 100 dozen eggs in 1879. Jacob Lanier Setzer died on 10 Dec 1891 at the age of 87, and was buried at St. John’s Lutheran Church near his first two wives, Delilah Deal and Mailinda Fraisure. According to the 1910 Catawba County Census, Patsy continued to live on the Setzer family farm in the Cline Township (Claremont) located on Depot Street. Jacob’s youngest son, George, was living with his mother on the farm. George had married, Lillie, and had two children of his own, Ida and Craig. Upon her death on 22 Aug 1912, Jacob’s third wife, Patsy Ruth Ann Deitz, was buried at St. John’s Lutheran Church in Conover near her beloved Jacob. A special thanks to Peggy Loftin Brotherton for the photo of Jacob Lanier Setzer. If you have additional photos or information about Jacob Lanier Setzer or his family, please contact me.